Live in an area supported by Uber? Use Facebook Messenger on the regular? Good! Facebook announced today that Facebook Messenger now allows for you to request a ride from Uber without ever leaving a conversation. That’s neat, right? 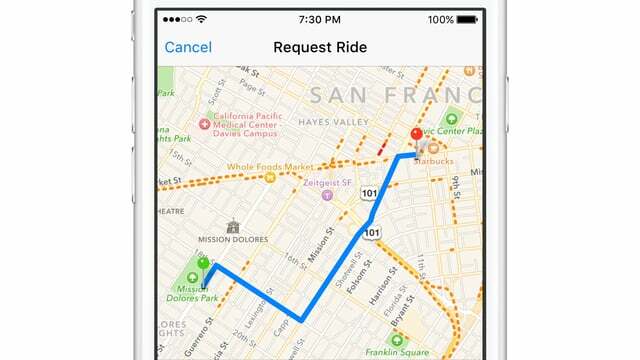 Once you install the latest version of Facebook Messenger, you may see the option to request a ride. I say “may” because Facebook says that the option is “currently in testing and will be available to select users in the locations where Uber operates in the United States.” So yeah, it’s coming, at some point. With ride requesting in Facebook Messenger, all you have to do is tap on an address in a conversation or hit the little car icon in that little services icon row just above the keyboard to request a ride. Once you have done that, you can set destinations and see how much the fare might run you. You can even receive updates on your driver’s status and let your friends know that you are grabbing an Uber. Let us know if you see the option! Wednesday Poll: Month-to-Month or Contract?